Well, I'm finally back home! Exhausted from the little tour of Europe. Unfortunately, the vast majority of beauty products in Europe were exactly what we have here, but anything that was different I snapped up! And not much of a good deal either, with the dollar being so lousy, everything in Europe was mad expensive! If you're looking to shop, I don't recommend traveling there right now. So starting next week or sooner, I'll be blogging about these products. I must say though, I was a bit envious of the European market. When I do visit Europe I see the quirkiness in the aesthetics of products, but this time since I was also focused on skincare, it seemed like even the same products we have here are just packaged much nicer in Europe. 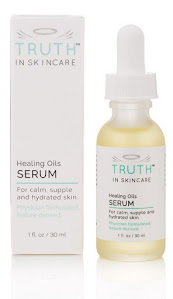 Thanks for reading and keeping up with me here on Truth in Skincare. I really appreciate you all and am grateful if I am able to help educate anyone even just a little! Thanks!!! I'll be posting soon! 'Bare' with me?? Bare like wearing nothing- bare. Ooops! Thanks for letting me know!